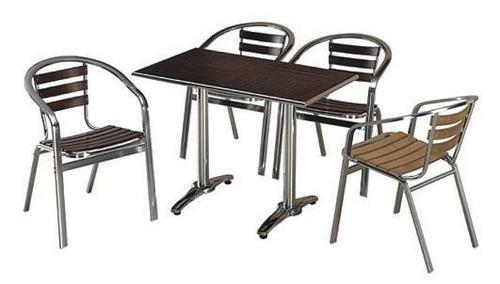 We are one of the leading manufacturers and suppliers of a designer range of Aluminium Outdoor furniture. These are beautifully designed by experienced craftsmen, having rich industrial experience. Our furniture are widely praised for fine finish, innovative designs and creative styles. These are ideal to add a distinct touch to the garden. Our furniture items are resistant against all weather conditions and ensure long functional life and durability.